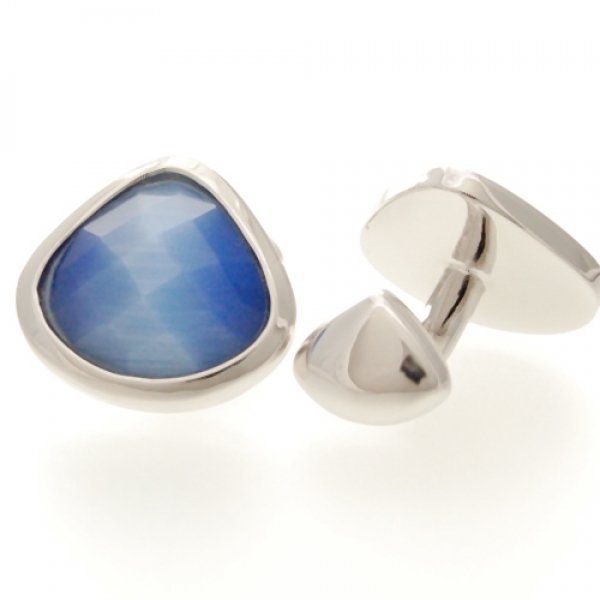 Facetted catseye stones are mounted within a softly curved triangular setting, the back of the cufflink also reflects this shape. 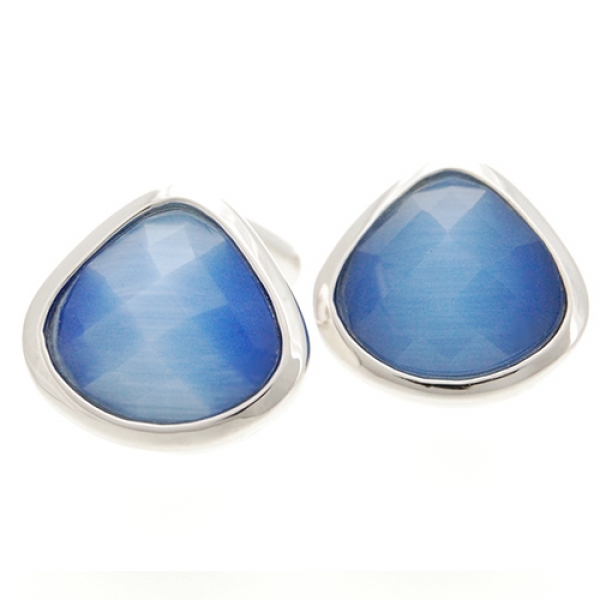 The beautiful hand cut coloured crystals are set in rhodium plated backs. 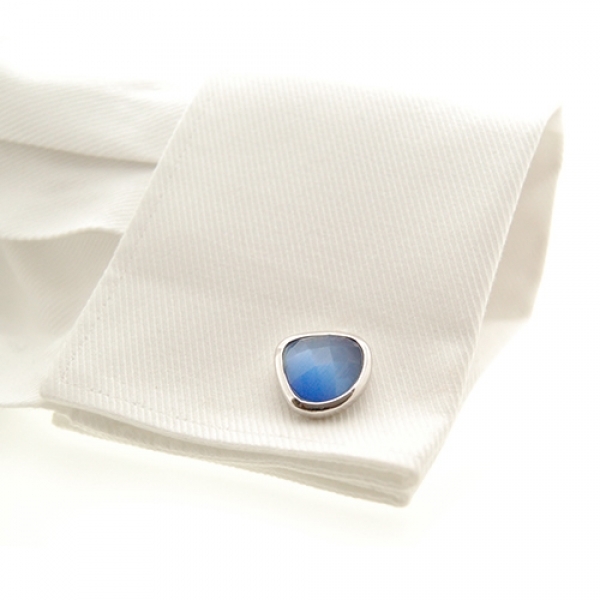 Perfect with a white or blue shirt. Approximately 1.7 x 1.7cm.